We see quite a few Sony DVD-RW disks. Usually the disk records without incident. Then sometimes there is a process of data recovery due to vibration. The main problem seems to be when finalizing the disc. Then the disk will not finalise or unfinalise and you are unable to access films in all or part of the disk. If you have experienced this problem we can recover the video to a new disk - timescale usually 1-2 days so call or email us now for a quote. If you need a Sony DVD-RW vibration caused finalizing problem - recover video access service, then contact our friendly company. 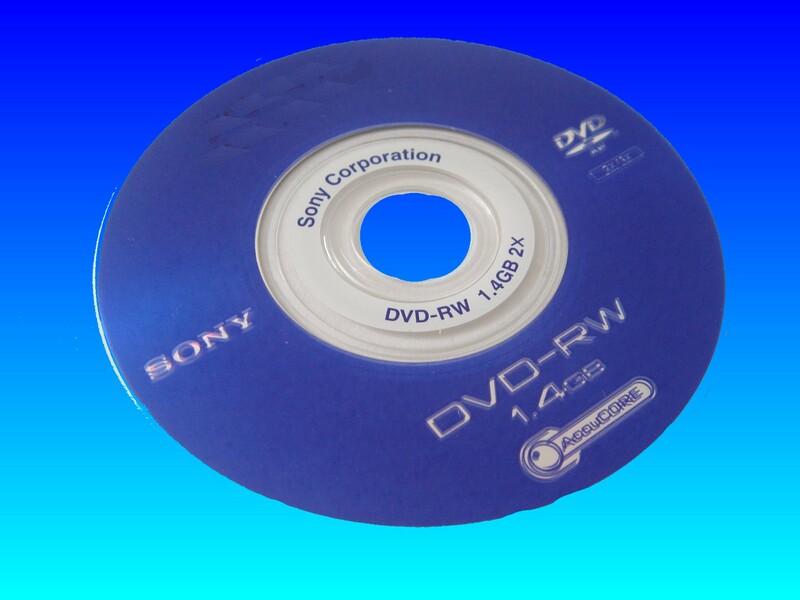 We see quite a few Sony DVD-RW disks. Usually the disk records without incident. Then sometimes there is a process of data recovery due to vibration. The main problem seems to be when finalizing the disc. Then the disk will not finalise or unfinalise and you are unable to access films in all or part of the disk. If you have experienced this problem we can recover the video to a new disk - timescale usually 1-2 days so call or email us now for a quote..